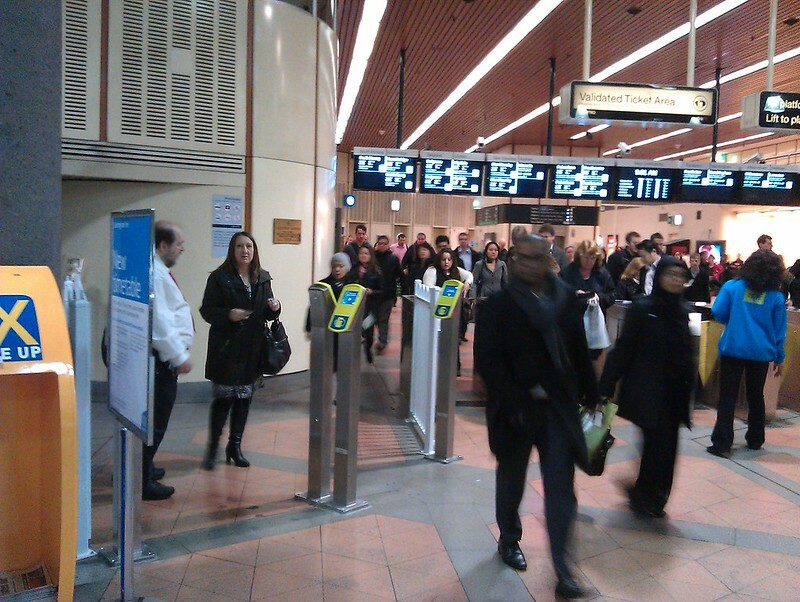 Is it time to buy a Yearly Myki fare? Generally every January, public transport fares in Victoria go up. This year it’s expected to be a 4.3% rise — this is CPI of 1.8% 2.8% (for the year to September), plus a 2.5% 1.5% rise that was first announced by the Coalition in December 2013, to be implemented in January 2015-2018, and dutifully followed by Labor each year. Just before the price rise is a good time to decide if buying a Yearly Pass is good value. These are available for any combination of Myki zones, provide a discount (365 days for the price of a 325 day Pass) — and because you pay up-front, you’ll be getting travel during 2018 for the 2017 price. Cheaper than buying a Yearly Pass at the retail price is buying it through Commuter Club. CC is a discount scheme offered by a number of large corporate employers, particularly government departments and universities. The biggest seller of CC tickets is the PTUA. PTUA membership plus the cost of the ticket is still a saving compared to the full price — $84 cheaper at 2017 prices. And by being a PTUA member, you’re supporting the organisation and its campaigns. PTUA CC orders at the 2017 price will close on 30th November. This is imposed by PTV on all CC re-sellers, though some may have slightly different close dates. PTUA CC tickets are paid in advance. Some employers who offer CC will do it by regular salary deductions, which could be a better option. So, how much can you save? It varies, according to how much you usually travel. Here’s a couple of ways of working it out. What this means is that if you buy a PTUA Commuter Club Yearly for $1515, you’re getting 365 days of travel for the same cost of 184 days of Myki Money, or 308 days of Myki Pass days (assuming you buy Passes of between 28 and 325 days). In both cases, the cost in days goes down in 2018 if you’ve paid in advance, because the prices go up. Another way of working it out is Cost Per Day (inspired by this Reddit post). So a PTUA CC Yearly will cost you $4.15 per day if you travel every single day, or $5.83 per day if you travel on weekdays only — compared to a Myki Money price of $8.20 (2017) or $8.55 (2018). A secondary saving might be if, because you’ve prepaid your travel, you end up using public transport more often instead of driving. If you think this all sounds more complicated than it needs to be, you’re right. 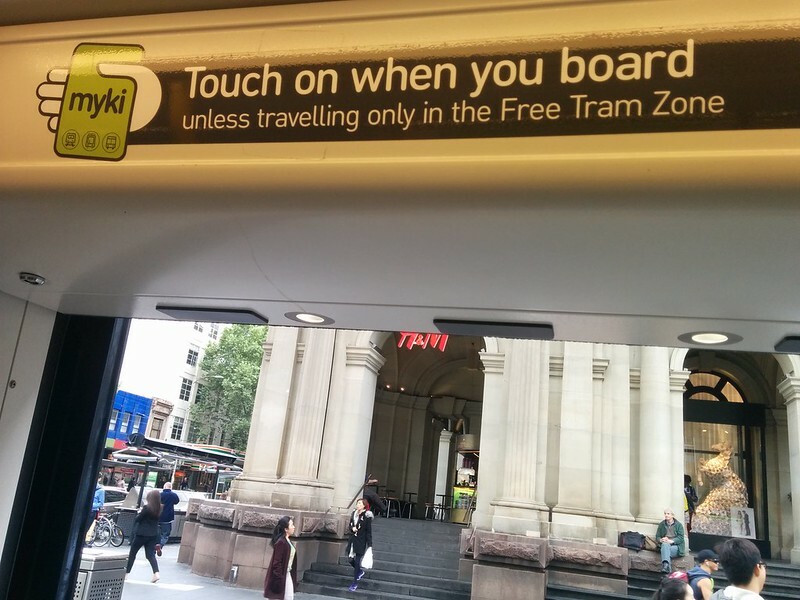 Myki was originally designed with automatic weekly and monthly capping which would have made it a bit easier to pay-as-you-go on Myki Money but still get the discounted Pass rate. Perhaps one day it’ll be re-instated, but until then, for regular users it’s worth doing a little research to find the cheapest option. ← Previous Previous post: Would you want a spaghetti junction in your neighbourhood? For the Myki Money numbers shouldn’t you include the weekend daily cap? It might be $8.20 for a weekday, but only $6 for a weekend day. Assuming the year has 104 weekend days then usage every day adds up to $2764.20, an average of $7.57 a day. Still the most expensive, but not by as much. I had nothing better to do tonight, so I wanted to see how it stacked up for V/Line. For my counter-peak commute in Zones 2-4, the standard off-peak discount gives about the same result as a Myki pass (assuming travel on 225 days of the year). Having a Myki pass for only the Zone 2 bit (and Myki money for Zones 3-4) is a much worse outcome, since there’s no discount at all for the Zone 3-4 component. But there are definitely savings to be had for travel in Zones 1-4, in both peak and counter-peak directions. Myki pass for Zones 1-4 costs $3,217.50. Commuter Club is $1,515.00, and daily fare for Zones 3-4 is $6.40. So you can travel on 266 days before the Commuter Club arrangement is more expensive – if you only travel on 225 days, you save $262.50 (or 8.2%). And you’re only paying part of it upfront. Of course, you can save even more by getting off the train at Lara, touching off and back on, and waiting for the next train, thereby skipping Zone 3. Daily Zone 4 is $4.80, so you could save $622.50 (or 19.3%) on the Zones 1-4 Myki pass. But this option costs an extra 40 minutes a day! The other way to get almost the same discount on Myki money as a Myki pass for Zones 1-4 is to change between Metro and V/Line at Sunshine (touch off and back on) – at $14.92 per day, you can do this on 215 days compared to straight Myki pass. Just on Myki money, you can save 41-48% on a peak Geelong-Melbourne fare by breaking the trip at either Lara or Sunshine, and 15-26% on an off-peak fare. Surely that fare anomaly has to go! Just on that, I have wondered how we got our carbon tax compensation back in fares when the carbon tax was abolished – my guess is the Zone 1-2 fare reduction and Free Tram Zone covered that, so no need to reduce fares across the board. Although I can’t remember whether fares rose more than normal when the carbon tax came in to begin with. You have your price rise figures wrong. CPI for the 12 months ending September is 2.2%, not 2.8%, and the Coalition government announced an extra fare rise of 2.5% annually, not 1.5%. This brings price rise to 4.7%. I wonder if the rise in part-time work has made annual PT tickets less attractive in the overall population since most part-timers do not work 5 days/week. Actually, my read of the ABS website shows the CPI rise (SepQ 2017 vs SepQ 2016) was 2.2% for Melbourne (less nationally). Or am I mis-reading this? Thanks all, I messed up the text a bit; now corrected. It’s very likely true but I wonder how you know that, ‘The biggest seller of CC tickets is the PTUA’? Are there many organizations that sell CC tickets? Just curious. Some workplaces organise a commuter club for their employees too. I was comparing the PTUA one and the one organised by my HR. The difference was minimal but what sold me with my workplace’s is that I can have it deducted fortnightly rather than pay a yearly lump sum. I work for a large corporate and now take advantage of the yearly ticket which i pay for in fortnightly installments directly from my salary. Much cheaper than when i used to top up my card every fortnight. My ticket needs renewing by end of Jan, if i take advantage of renewing early to beat the price rise i will be paying a double fortnightly payment from Dec to end of Jan. So this year I will see how much the double payment is when compared to the price rise. which ever is cheaper shall be my option next year. Yes, those of you who can get the ticket via regular payments, obviously that’s an easier option than paying up-front. @Kam-Hung, I’ve been told PTUA sells more Commuter Club tickets than any other organisation (it’s several hundred per year), but I don’t know how many others sell them. @Roger, based on the 2017 fare rise (which was 1.4% CPI plus 2.5%) they use the year to September All groups CPI, seasonally adjusted (for the 8 capital cities). The figure for this for September 2017 is 1.8%. Both the Melb and Aust CPI annual rise in Sep16 was 1.4%. So you can’t tell which geography the PTV used. Neither the PTV statement or 2013 Budget Update state which CPI (Melb or aust) is to be used. Given the PTV fares relate to Victoria, I assume the PTV use the Melb CPI rise which was 2.2% in Sep17, not 1.8%. I guess one of us will have an “I told you so” moment in December. @Roger, thanks, I get you. So the rise might actually be 4.7%. I guess we’ll see! Always appreciate your posts and views. Would love to know your thoughts on how we can get Melbourne’s busses popular again and if pricing is an issue for short trips? I feel that if you had 2 stops for free then a lot more people would utilise the service for quick trips that they previously wouldn’t think of using the bus and it wouldn’t have any impact on the profitability of the bus services (I actually think it would increase their revenue in the long run as people would recognise where busses actually go). Slightly off topic but i don’t see many people that would spend $8.55 for a trip to the shops or library 1km away if they wanted to spend a few hours there. Maybe a future post? Did my math go wrong somewhere? @Lock, the $5.83 assumes you only use it on weekdays. Based on using it every day (which is how the 28 day Pass price is calculated) it’s $4.36 per day (2018 prices).